This is the power of a wristwatch, gentlemen – it can either break or build an outfit! Since men wear limited jewelry, a watch is an expression of their personality. The best wristwatches are simple, versatile, sophisticated and classic. Most men prefer to own more than one watch so they can wear the appropriate timepiece to complement their outfit. The style of watch you choose to wear needs to match the formality of your outfit. 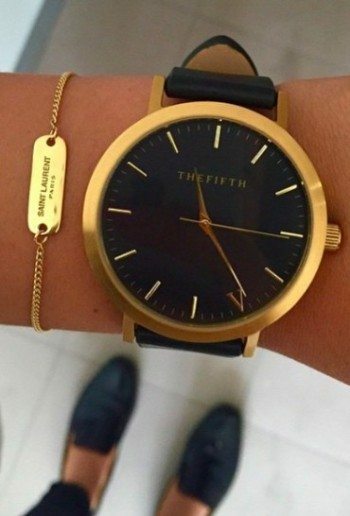 What are the 5 watch-matching rules that are timeless and relevant in any situation? Analog watches have a face with hour and minute hands and either markers or numbers that display a 12-hour day. These watches are considered classic and more formal, making them suitable for business, formal events or a date. Digital watches have a LCD display or LED face that shows time in numeric form. These watches are considered casual. The recent developments in wearable technology has allowed watchmakers to make nifty gadgets that are far advanced than simple timepieces. You can make calls, track your GPS co-ordinates and check your calendar through gadget watches. Dress Watches – A watch with a plain white face and no complications and a black leather band is as formal as it gets. The most formal dress watch are the ones that only show hours, minutes, seconds and maybe the date. Complications in dress watches are simpler and not related to sport. Diver’s watches – Also referred to as a diving watch, these were originally worn as work/tool watches. Designed for underwater diving, these watches feature a minimum water resistance up to 100 meters. 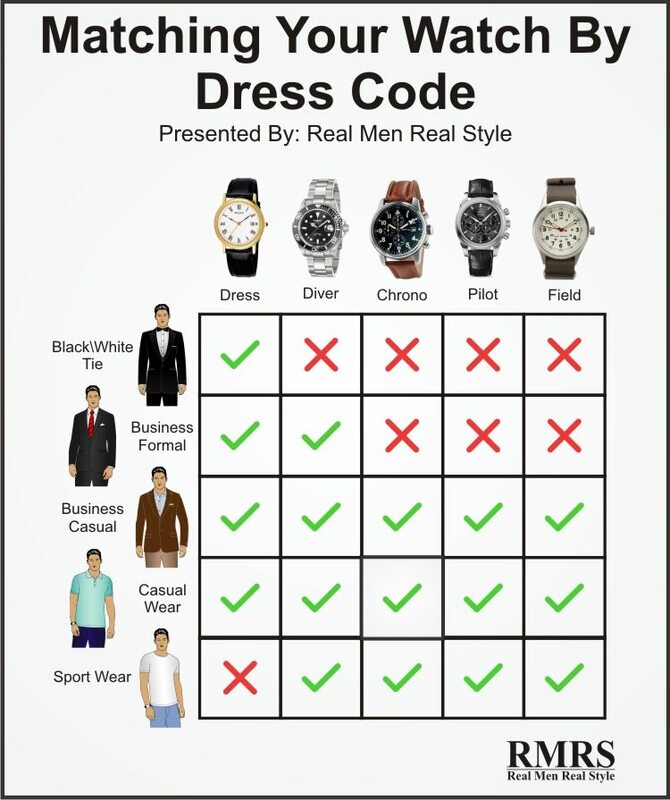 Don’t be inspired by James Bond movies and wear a divers watch with a suit. That’s the equivalent of wearing a suit with work boots. Chrono / Sports Watches – Not a true dress watch, but can be quite dressy especially in the higher brands. Sports watches are durable, sleek and made from high-quality plastic composites. Expect compasses, odometers, altimeters, GPS technology, pulse monitors, and a range of other functions for the guy leading an active lifestyle. Pilot or flyer watches – Featuring a simple dial design and a rather large (over 50mm) diameter, these watches were made to be accurate and easy to read. Originally worn over the pilot’s jacket – they were made with a large crown that could be operated while wearing gloves. Field Watches – During World War I, the hacking character of a field watch allowed infantrymen to stop the seconds hand on their timepieces in order to synchronize their watches. Field watches are versatile timepieces that are tough enough for active duty. The simple design improves legibility of the numerals. Typically, these watches are moderately sized, with a white or green numerals against a black dial and work on a hand winding mechanism. Watches are made for a specific purpose. Avoid common fashion blunders by matching your watch style with the formality of the occasion. Black tie / White Tie – For formal events, simplicity is key. Historically – it would be considered rude if you were to refer to your watch at such an event. A simple dress watch in a classic style and black leather band will mute any objections from conservative observers. Business dress – For business – go with a simple and classic styled gold or silver watch with a thin dial with limited or no complications. A dark conservative suit is best paired with a classic dress watch or a diver watch with a leather strap. Business Casual – A light colored suit with no necktie is best complimented with a high-end chrono, a pilot or even a smart field watch. Casual – If a watch has a metal band, it is considered less formal. A metal band is generally suitable for casual wear while a leather band is suitable for any purpose. Any of the watch categories can be worn with a jeans, chambray shirt and dress boots combination. Digital watches should only be worn with casual clothes or workout attire. Sports – For activities that involve unpredictable physical movements, such as sports, a dress watch would be inappropriate. The strap, case and watch dial are protected with materials that allow you to focus on the activity – no need to worry about your watch snapping off your wrist or the glass shattering mid-game. The material and color of your shoes is a suitable reference for the choice of watchband. You should start by matching your belts and shoes. A black watchband should be worn with black shoes and belt; a brown band with brown belt and shoes. A silver or gold band suits either color. Interchangeable bands are an excellent option for men who own shoes in different colors. The watchbands don’t have to be the exact same color as your shoes, but a similar tone (light vs medium vs dark). Don’t wear a black band watch with a brown tone shoe. Or a brown band with black shoes. A watch with a rubber band is strictly for casual or sporting occasions. A chronometer is made for sport and styled for sport. It should generally be worn for sport. Plastic bands are used for more casual digital watches. In analog timepieces, the watchband is either made of leather or the same kind of metal used on the case. Rough, worn-in leather straps work better with jeans. Such a watch would not be appropriate at a fine-dining event. A good leather strap is the classic choice, but gold or silver bands are appropriate when they complement the rest of your outfit. The metal case of the watch (the frame around the face) should complement the metal accents of your other accessories. The case can be square, rectangular, round, and polygonal. The finish on the case can be matte, shiny, matte, patterned, or inlaid with crystals or other jewels. The metals used to make the case include steel, gold, silver, platinum and titanium. A rose gold watch can be worn with a gold belt buckle – it’s close enough. What if the metal casing on the watch is blacked out? Then you can go with either gold or silver. You want to coordinate the metal color with your watch and ring, so that all your accessories, for example, are gold. 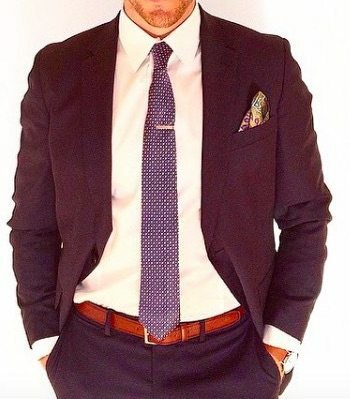 The other accessories you will need to pay attention to include cuff links, shoe buckles, buckles on the side adjusters of trousers or on the back of your waistcoats and any other piece of jewelry on your outfit. A gold-plated watch is best-suited to clothes and shoes in earthy tones, while silver goes with grey, blue and black. Heirloom pieces represent a legacy. They are usually worn as a good-luck charm or as a memory of original owner. An heirloom watch is an item that cannot be subjected to the rules of matching watches with clothes. For a simple reason – they are great conversation pieces and they make you memorable. Heirlooms allow you to bend and even violate the rules mentioned here. An heirloom watch is not worn based on the latest trends or fashions, it is a reminder of family history and culture. Men who fought in World War I passed on their wristwatches to their sons and grandsons as a memory of the sacrifices made by that generation. Though the function of these watches is not as a timekeeper these heirlooms are meant to be cherished and passed on through the generations. Black is generally dressier, but that doesn’t make it the default right choice. Sometimes brown shoes are just a better choice. Interchangeable leather bands are useful here – one in brown and one in black for each watch. Or another color for more variety. Black leather is more formal than brown. A black watchband is more suited for formal events. Slip-on tassel loafers are considered business casual. Not able to decide between a brown or black leather band? Equate the dressiness to the brown shoe versus black shoe category. Silver watches match best with shoes in black, gray, silver, and blue shades. Gold watches go with browns, beiges, tans, and other earth tones. Wearing Oxford balmoral black shoes with a dark suit? Go with a formal watch. For the best effect, pick a watch according to your size as well. Watches should be proportionate to your body. 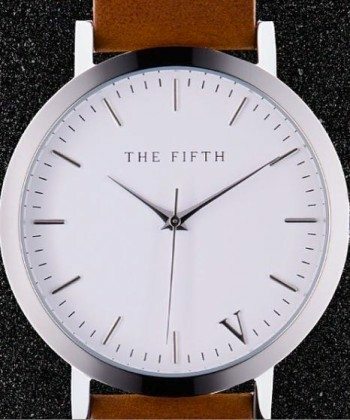 Thin men can work slim watches, while bigger guys can carry watches that have boxier and robust watch faces. Use these tips to ensure a harmony between your clothes and your watch.